As ice cream season begins and we add new recipes to this website, I thought I’d take a minute to describe our raw egg philosophy. Many (if not all) of our recipes will contain raw egg and I wouldn’t actually recommend raw egg to everyone reading this site. Eggs are little balls of salmonella. Raw egg is a high risk food for salmonella. Chickens carry it like its a natural part of their feathered bodies and that pathogenic bacteria can get into their eggs. If you’ve ever needed a visual that eggs can be contaminated on the inside as well as on the outer shell, we’ve got it. Here’s a gecko that took a real bad turn up the back side of a hen and spent its final days swishing around in egg white. That’s an egg you’d want to cook. Now that I’ve ruined eggs for you forever, I’ll tell you why we don’t take the extra step to pasteurize our eggs for ice cream. This second picture is my child getting exposure to salmonella in our yard. I could include a collection of pictures of my children crawling through dirt around the hens. My kids are exposed to the muck of our chickens nearly daily and develop a resistance to the specific strains of pathogens the chickens carry. It’s not to say that some foreign grime won’t make it into those eggs and make us all sick, but we are far less likely to get sick from our own eggs than those we buy at the supermarket. We likely have an immunity to the bugs on our chickens already. Eggs from a small farmer might be a bit safer because then hens are likely to be a little more healthy but you should use your judgment because there is no safety guarantee. If your immune system is weak, you ought to use more caution still. We do take the risk in our household because the risk is not big and raw animal fats are a great addition to the diet (if they don’t kill you). You may wish to enjoy your ice cream with pasteurized eggs. In fact, you may find websites like this one with great raw recipes that you want to adapt to a pasteurized version. To do so is simple but takes a little more planning. To convert a raw egg ice cream to a cooked version, simply warm the milk and cream portion of your recipe and add your beaten egg yolks. Stir well. Use a thermometer for extra insurance and heat your mixture to 160 degrees. You now have a custard. Let it cool and place it in the refrigerator. Besides the extra cooking step, you need to allow time for your mixture to get cold again. Try to make it in the morning of your big ice cream day so that it will be cold when you need it. If you need the custard more quickly, immerse it in a bowl of crushed ice and water. 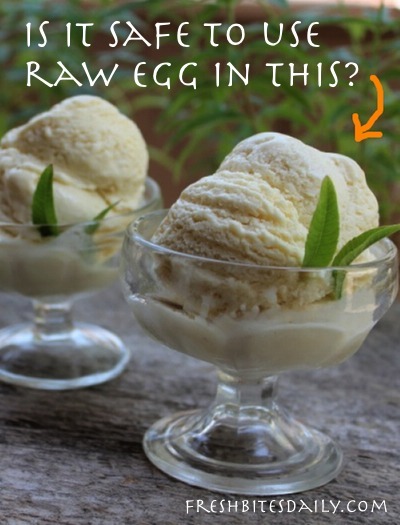 5 Comments on "Raw egg safety: Yes or no on raw eggs in homemade ice cream?" just can do with a few p.c. 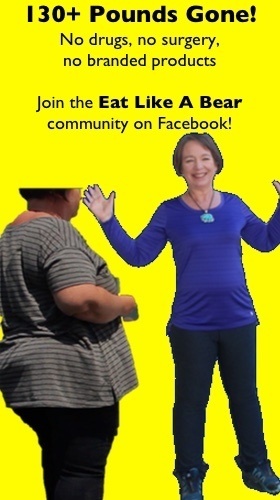 to pressure the message house a little bit, however instead of that, that is wonderful blog. Hello there, just was alert to your weblog through Google, and located that it’s truly informative. I am going to watch out for brussels. Ill be grateful for those who proceed this in future. to better my own content on my blog.